First Listen: Cool Million gives a taste with "Summer Rain"
(June 11, 2018) It’s tough to believe that the popular production and songwriting team Cool Million - Frank Ryle and Rob Hardt – are celebrating their 10th year anniversary. It’s been a decade of great music that often harkens back to the hot dance grooves of the 80s, always featuring killer vocal performances and great hooks. Frank and Rob are putting the finishing touches on the 10th anniversary album, which is due for release in Fall 2018. 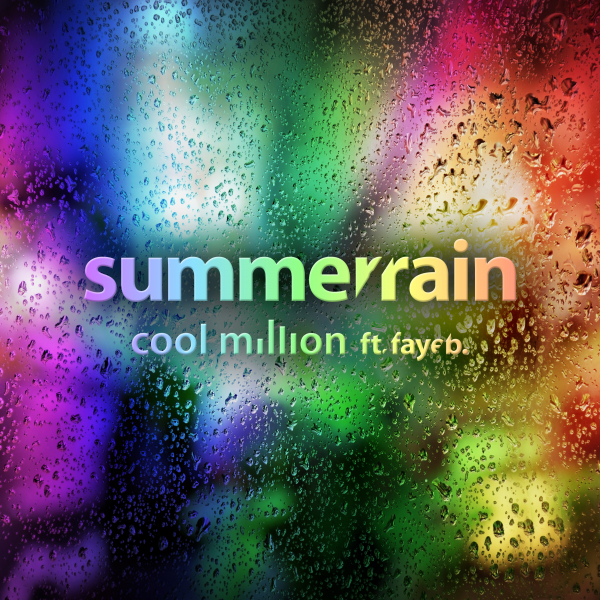 In the meantime, they’re giving fans an advance taste with the midtempo number, “Summer Rain,” featuring Swiss Soul/R&B singer Faye B.
We’re proud to present “Summer Rain” as our newest SoulTracks First Listen. It’s a cool summer song that is getting us excited for the upcoming full album from this always interesting act. Check it out.